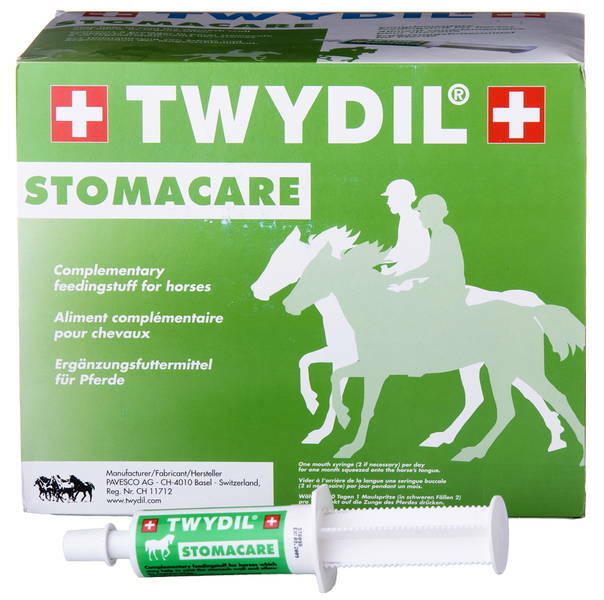 Feed supplement for horses to help protect the stomach wall using a coating effect. It also provides fibre and other necessary micronutrients for the regeneration of the stomach lining. This supplement can be used in conjunction with other prebiotics/probiotics as it has a different action. It is ideal to give 15 minutes before exercise or turnout. Dosing Instructions: Give 1 syringe orally daily before exercise or turnout for 1 month. Then if improvement noted, reduce to 1 syringe every other day.